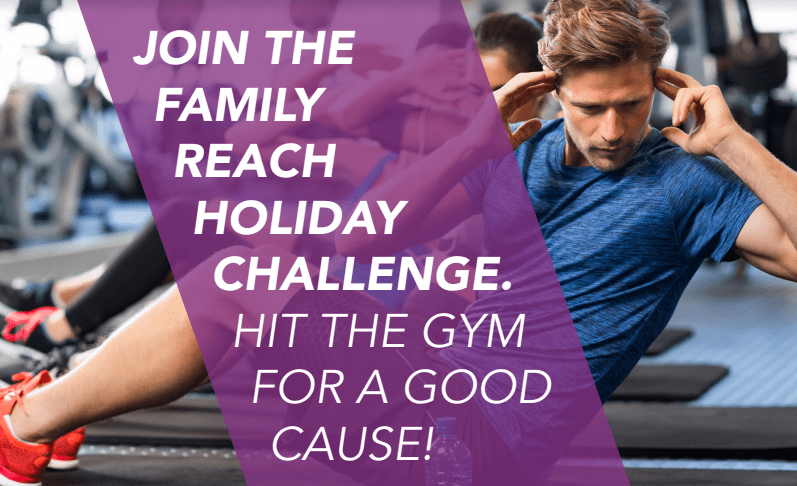 Home » Reach Athlete Holiday Challenge: Hit the Gym for a Good Cause! If you’re questioning that extra serving of stuffing this season, the Reach Athlete Holiday Challenge will motivate you to hit the gym for a good cause. Our 10th Annual Holiday Challenge brings together people of all fitness levels to push their physical limits while raising awareness and funds for families struggling with the financial burden of cancer. Premier gyms in the Boston area, including FitLife, Boston Sports Club, Orangetheory, Purre Barre and Healthworks, are hosting the Holiday Challenge through various action-packed and motivational classes! In addition to burning a few calories, our goal is to raise $75,000. This would allow 430 individuals to keep a roof over their head and food on the table. At each event, you will have the chance to meet one of our cancer-fighting families and hear their inspiring story. Join us! Can’t make it to a class but still want to make a direct impact? Donate to Hope for the Holidays today.